As a fleet manager, you’re constantly challenged to find ways to maintain, or even lower, your fleet’s operating costs as equipment, parts and fuel expenses continually rise. It’s especially challenging considering the extreme operating conditions your vehicles endure. 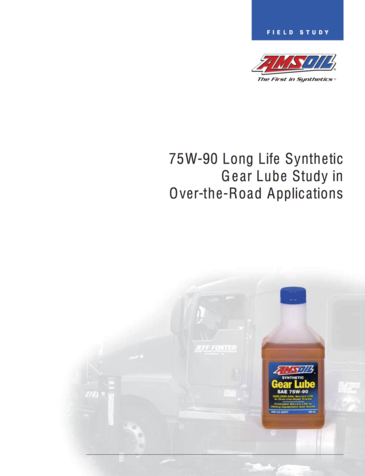 Idle time, short trips, towing and hauling take their toll on conventional lubricants, reducing their ability to adequately protect critical components and leading to expensive repairs and downtime that seriously hinder your cost-reduction efforts. 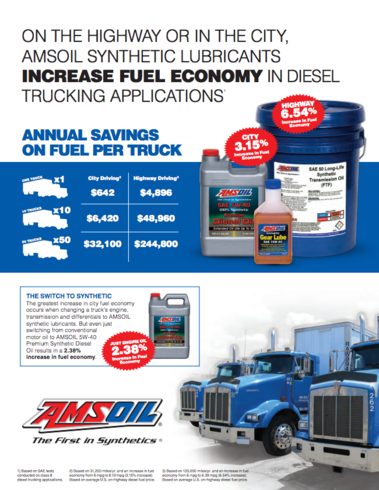 AMSOIL synthetic lubricants incorporate advanced synthetic technology and additive chemistry designed to provide unmatched protection and performance in the extreme conditions encountered by fleet vehicles, while supporting your efforts to reduce costs and control unexpected repairs and downtime. 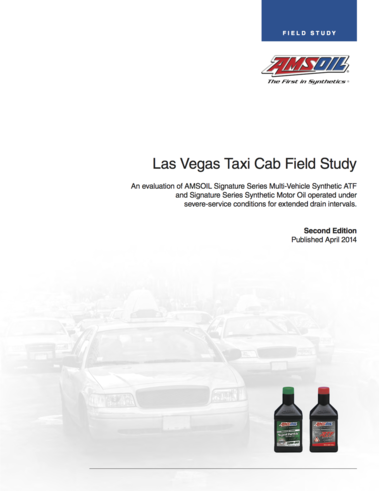 Few applications place more stress on lubricants than taxi cabs, particularly those operating in the desert heat of Las Vegas, Nev. The combination of exces- sive idling, stop-and-go driving and high ambient temperatures creates the ideal scenario for lubricant failure, resulting in sludge formation and catastrophic com- ponent failure. Fleet vehicles, heavy-duty pickups, work trucks and other commercial applica- tions operate under severe service. In addition, drain intervals are getting longer. For engines and transmissions to last as designed and achieve maximum per- formance, lubricants today must protect against elevated heat and its associated problems for longer periods of service. 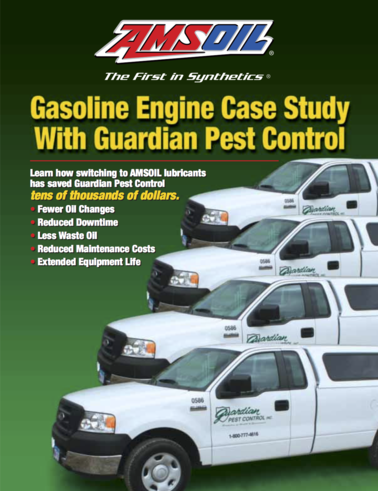 In 1997, Guardian Pest Control converted its entire fleet of vehicles to AMSOIL Synthetic 5W-30 Motor Oil and AMSOIL filters. Oil changes are performed every 12,000 to 15,000 miles. 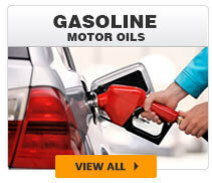 Six quarts of AMSOIL 5W-30 Synthetic Motor Oil at $5.35 per quart (commercial pricing, case lots) is $32.10. That plus $13.15 for an AMSOIL EaO34 oil filter is $45.25 for an oil change per truck, not counting labor. With 60 vehicles in operation, it costs Guardian $2,715.00 to change oil in the entire fleet. 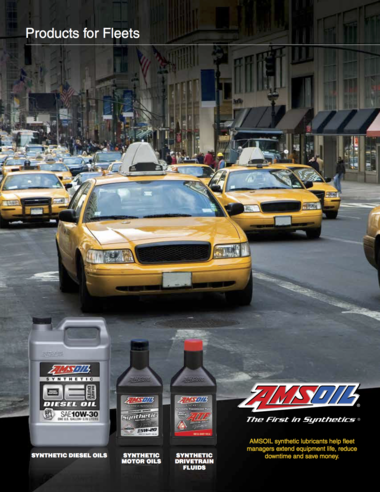 An average of one oil change every four months per vehicle costs Guardian $8,145.00 per year to change oil in its entire fleet using AMSOIL synthetic motor oil. That’s a savings of $6,946.20 per year on oil costs alone. Few types of operating conditions decrease fuel economy in traditional engines more dramatically than stop-and-go city driving. It takes much more energy to move a vehicle from a standstill. All-day city driving in diesel delivery vehicles, road maintenance equipment, construction vehicles and similar equipment erodes the profitability and cost effectiveness of businesses and municipalities of all sizes. Given the high cost of diesel fuel, even slight increases in fuel economy result in significant cost savings. Synthetic lubricants are increasingly being recognized for their ability to increase fuel economy and reduce costs compared to conventional lubricants. 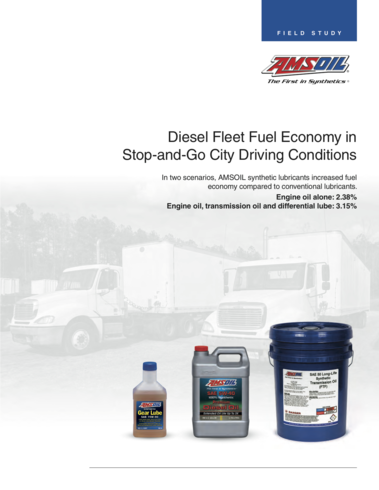 The greatest increase in city fuel economy occurs when changing a truck’s engine, transmission and differentials to AMSOIL synthetic lubricants. But even just switching from conventional motor oil to AMSOIL 5W-40 Premium Synthetic Diesel Oil results in a 2.38% increase in fuel economy.